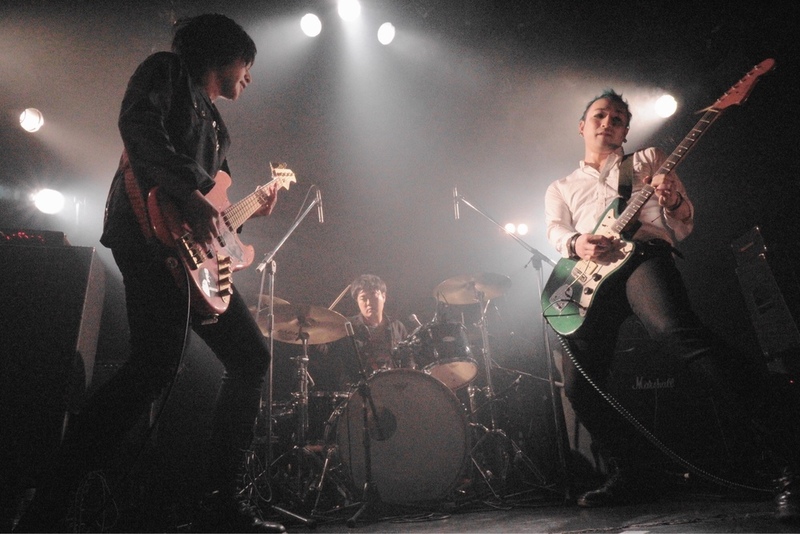 Osaka shoegazers Ether Feels have released their new 3-track EP “Twilight Dreams” this week. The EP, which features re-recorded versions of some of their earlier material, includes the fan favorite “Raindrop Sparkle” sandwiched between two other songs which feature regularly at the trio’s gigs – “Morning Star” and “Paddy”. The improved recording quality does well to really capture the band’s light, somewhat melancholy brand of shoegaze capped by the dreamy vocal lines of frontman and principal songwriter TOMO which really carry well on this new EP. Having released a bunch of material previously, “Twilight Dreams” is the most mature of their works thus far and with a new lineup in place it will be cool to see a new full length in the future. Here’s a preview of “Raindrop Sparkle” from the album which is available on Amazon (JP).